At Draus and Associates we truly work on creating a different experience for our clients. What separates us from other accounting firms is that we are dedicated to educating and keeping our clients 100% informed on the work we perform. Our goal is for our clients to leave feeling educated and confident they have received the highest quality service. We go above and beyond to satisfy our clients and answer any questions they may have. All of our pricing is dependent upon the client’s needs. We strive to produce FPA’s (Fixed Pricing Agreements) with all of our clients, so there is no guesswork involved and both parties are on the same page. Nick has been in the public accounting field since 2010. He graduated Illinois State University in 2010, and passed the CPA exam in November of 2011. 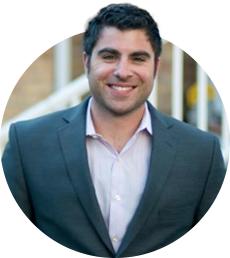 He is a licensed CPA and founder of Draus and Associates, Inc.